I love how bold and vibrate these wreath cards from Erica are, very modern too! She made a donut shaped mask and inked over top a trendy Mandala style stencil to create her wreaths. 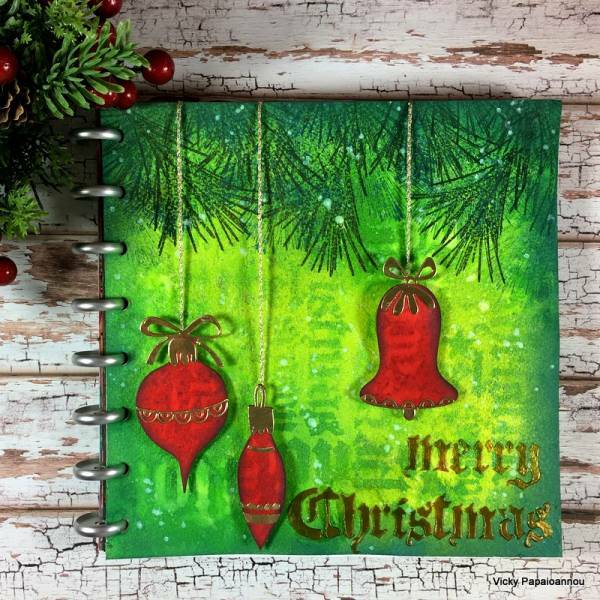 Using die cuts, inks, sprays, stamps and more Vicky created this stunning mixed media Christmas Journal page. 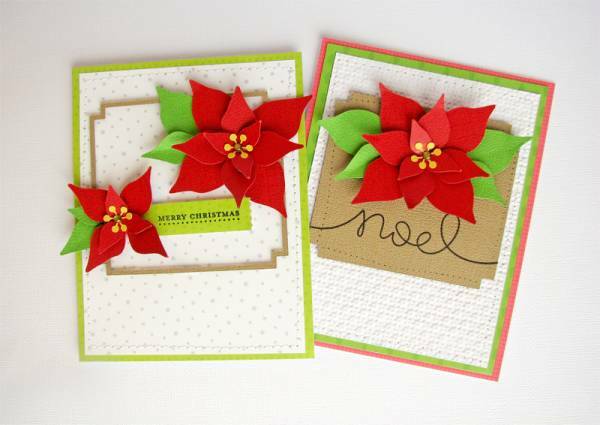 These pretty die cut petals come together to form a lovely poinsettia. 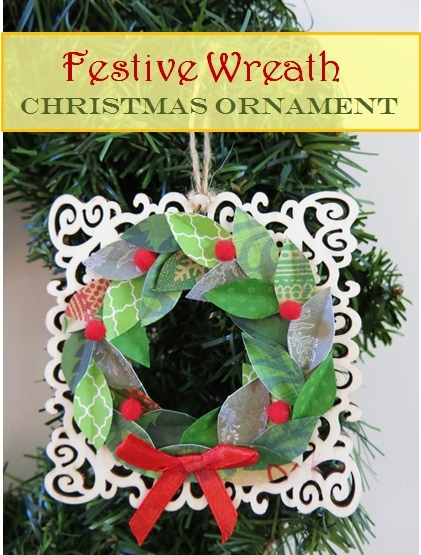 Perfect for adding to cards, scrapbook pages, tags or boxes this holiday season. And they are FREE to download. The month of December is filled with so many memories why not try an entire small album dedicated to just this month? 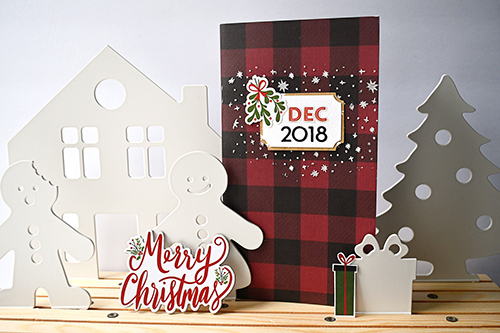 Suzzana created a fun traveler’s notebook for all her Dec. 2018 happenings. Create a gift box this is a gift in itself with this amazing explosion blox from Giulia Art. She’s sharing her direction over on Instructables. Visit the Doodlebug Designs blog for a closer look. 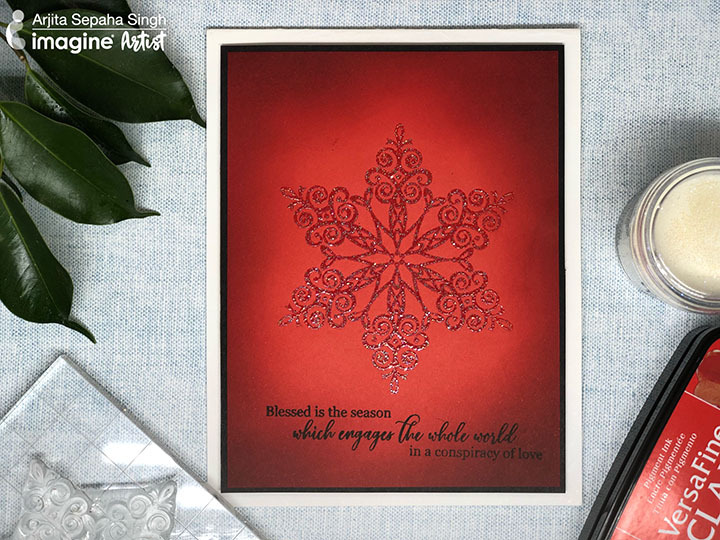 Great for making multiples, this simple but beautiful design can be quickly reproduced to create a full set of holiday cards. Visit Imagine Crafts for more info.